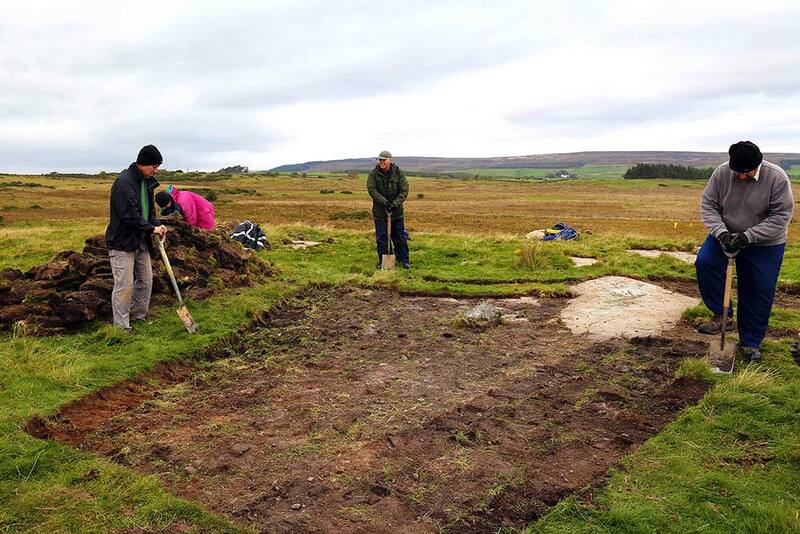 A community archaeology project developed as part of the Heart of Teesdale Landscape Partnership scheme, funded by the Heritage Lottery Fund, was carried out by NAA and a small team of local volunteers. 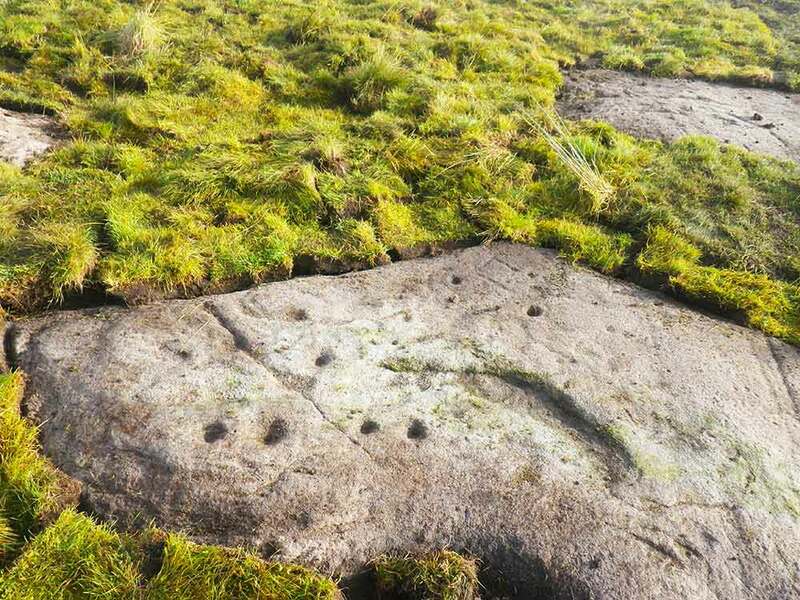 The project investigated a group of rock art panels, comprising eroded cup and ring marks and linear grooves, on a promontory to the south of Hawksley Hill Farm near Barnard Castle. NAA trained people from the local community in various archaeological techniques to investigate the rock art and its landscape setting. The aim of the project was to expose and record known carvings, to identify new examples, and to ascertain if the carvings were associated with features buried below the ground. 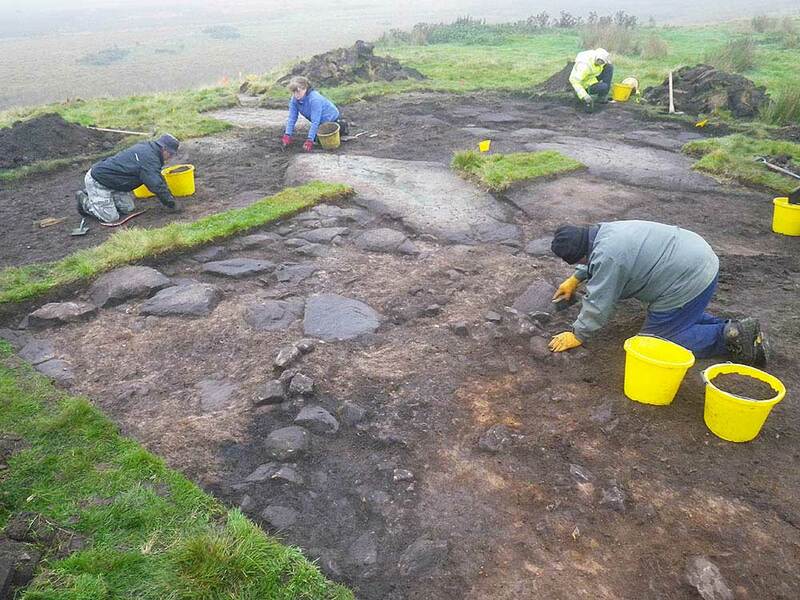 The team of volunteers toiled through wind, rain and dense fog to strip, clean and investigate an area of 100 square metres, revealing the surface of a large area of outcropping sandstone that the carved panels were part of. 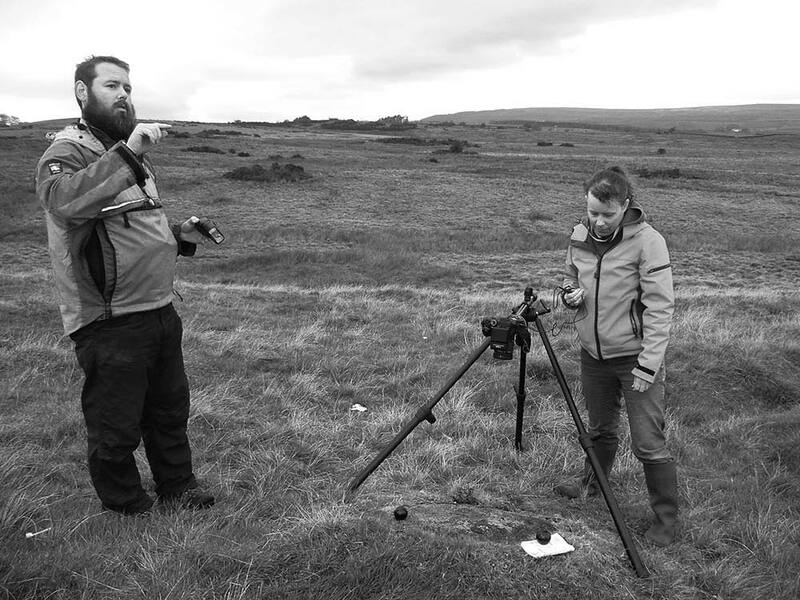 As well as identifying features associated with the rock art, the project recorded former field boundaries, evidence of ridge and furrow ploughing, quarrying, and disturbance relating to the use of the area as a military training ground in 1945. Undated terraces, quarries and a possible small cairn were discovered on the promontory on which five of the six carved panels were located. 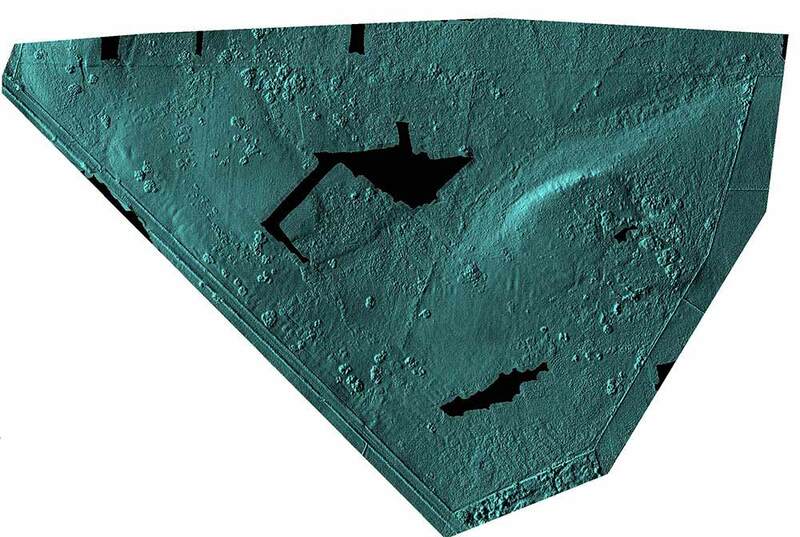 Having revealed the extent of the rock art, NAA demonstrated to the volunteers a range of modelling techniques to produce an accurate and highly detailed 3D image of the surrounding landscape, using interpretations of LiDAR data; drone survey; photogrammetry; polynomial texture mapping; and reflectance transformation imaging. 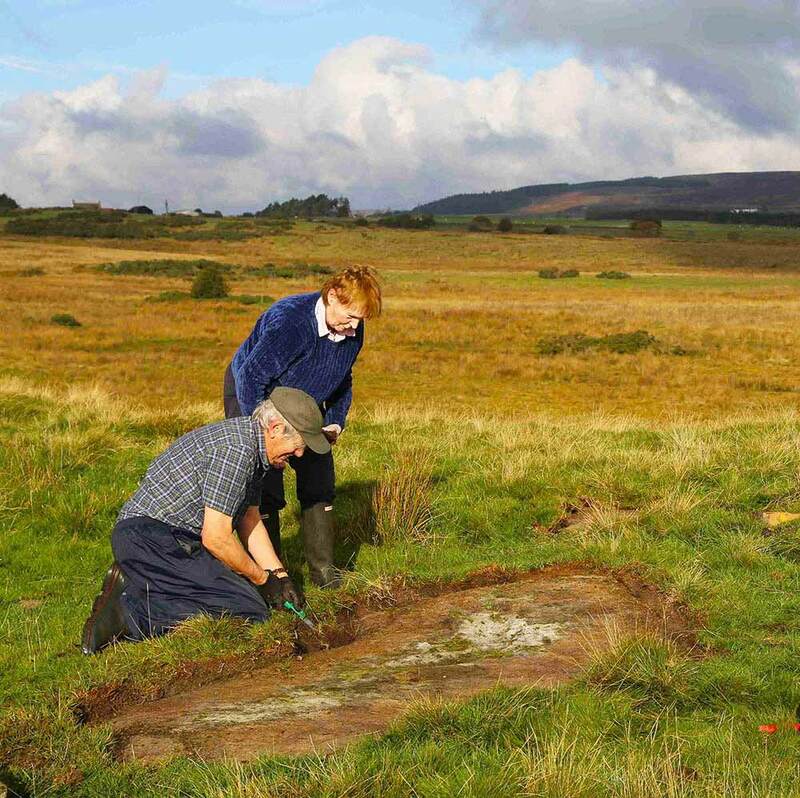 The involvement of the local community was fundamental to the success of the project, and provided the participants with a rare opportunity to engage with and better understand the history of their neighbourhood, and to learn how archaeology can bring it to life.